Home » How will the future of work be captured? How will the future of work be captured? Competition is fierce: Who will own “Work”? Technology has become like the oxygen we breathe. It’s in how we operate a business, connect with suppliers and partners, and the products and services delivered to customers — along with how your company connects to its markets and every individual customer. Microsoft planted its flag on “Work as a Platform” when it acquired LinkedIn. They are about to combine the 1 billion business users of Microsoft Office and Windows, with the 430 million professionals connected on LinkedIn’s network. There is widespread doubt about Microsoft’s ability to execute well. But if Microsoft succeeds, its “Work Platform” will deliver a single login and user experience that touches many parts of the business work day. It will be universal across devices, tools, data and people. The business process is simple: To work as an employee you will eventually need to use a Microsoft and LinkedIn tool or resource. That requires being signed in, so users are registered. Registered users are tracked, profiled and can be extended into new uses of this platform of tools and services. With single sign-on, a large range of tools and services are immediately available. Whether you want to or not, you’ll help spread the use of these to others — they’re used together, with others, both in your company and in your suppliers, partners and customers. As your career grows, you will do more and use more kinds of tools and services. This will be your platform, and you’ll help expand it throughout the business world and economy. If Microsoft succeeds, most employees worldwide will wind up using this Microsoft and LinkedIn platform to do most of the world’s business. Microsoft did this before, with Office, so it’s realistic to think it could do this again. Single sign-on platform for all work: Personal work environment through one business platform. Everyone, every device: Work Platform knows and serves everyone on every device. Same tools everywhere: Use Windows and Office tools on multiple devices, including Outlook email, to work from everywhere. Azure Cloud: Start with single sign-on. Add extensible infrastructure and computing to all business operations. People: Use LinkedIn profiles to find the best people for your project, adding the “who” to “what” employees do. Search: Turn Cortana and Bing Search into an embedded feature inside what employees do everywhere. Social business and communications: Connect teams, employees, suppliers and partners with Yammer, Groups and Skype. Personal AI: See what you need to know each minute with AI (“Delve”). Grow Cortana into an AI assistant. HR: Sync people selection with strategic HR goals by including LinkedIn profiles and skills in corporate planning. Training: Use Lynda.com for employee skills training so the workforce can achieve new strategic business plans. Workflows: Automate business processes and workflows with Workflow Manager. Structured storage and Knowledge Management: Use SharePoint to store work and updates. Products and services: Turn these into cloud-based software and services — developed on this Work Platform and delivered by Azure. Individual Profiles: Track uses of social media (Facebook, Twitter, Pinterest, etc.) during work to build each person’s profile. Advertising: Equal Facebook’s advertising accuracy. Potentially target ads to teams, projects, emails, documents, tasks and personal business interests. Marketing: Grow profiled users home and entertainment purchases of Windows, Office and Microsoft’s other hardware, products and services. Entertainment: For Xbox owners, extend their profiles into their game, entertainment and related personal uses. Work, products and services as a subscription: Turn work, computing, products and services — the world economy — into a subscription and cloud-based service. One that is owned and managed by Microsoft — once again the biggest and most valuable company in the world. The tech industry is in Microsoft’s cross-hairs. If this new platform captures “work,” it will also lock out tech leaders’ other platforms. Tech’s leading companies dodge each other’s kill shots by surpassing each new killer advance quickly. Where is the vision and solution for a competitor to take the lead from Microsoft, and dominate the Future of Work? The Expandiverse Work 2025 Roadmap points the way to a new era: Greatness by everyone on a Digital Earth. Every company can enjoy the high-productivity Digital Earths they want. Employees can continuously focus, in real-time, always on connections between them, customers, suppliers and partners to maximize operations, revenues and profits. The big surprise will be a Global Digital Transformation that eclipses individual platforms like Microsoft’s. Part of that surprise will be Human Exponential Growth for everyone — new abilities, achievements and control by everyone who wants it. Continuous connections replace on/off use: Devices become families. All users gain multiple presences. 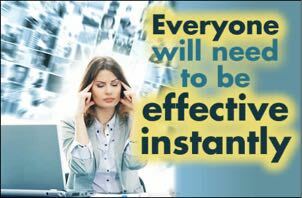 Each “presence” gains new “always on” instant worldwide capabilities. 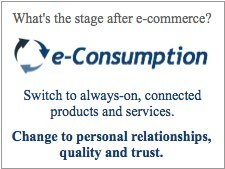 Connect Consumers (demand) and Supply Chains: Vendors bridge Consumers’ individual needs to always on Suppliers worldwide. Always on Logistics delivers what each person needs at the right time and place. Active Knowledge: “Intelligence Amplification (IA)” embeds the world’s best knowledge, resources, live relationships and transactions throughout everyday work and life. Active Resources: Connect users to the world’s best tools, with guidance, to succeed at the highest levels. 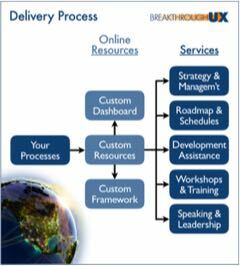 Dynamically update Active Knowledge and Resources: Learn from user outcomes and update the know-how delivered. Keep consumers, employees, suppliers and partners at the top of humanity’s combined abilities. Visible markets: Embedded vendors know consumers’ needs personally in real-time. Both consumers and vendors can act on them with two-way embedded “always on” connections. Fill new market needs: Active Knowledge uncovers gaps and new market needs. It tests new product designs. The new products are marketed to consumers as an embedded part of Active Knowledge, during their moment of need. Multiply employees’ personal productivity: Digitally multiply everyone’s abilities and personal scale: Multiply each person, their worlds and governances. Visible operations: In real-time, embedded employers know the activities and gaps of consumers, employees, suppliers, partners and logistics. Employees can fix any gap rapidly in “always on” Shared Spaces. Multiply every company’s tech resources: Turn tech products and services into worldwide, accessible resources. 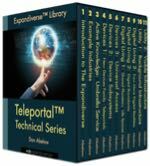 Multiply the power and effectiveness of every employee, customer, supplier and partner. Transform global Productivity: Raise productivity every minute by employees, consumers, suppliers and partners. Then raise it again tomorrow, and every day. 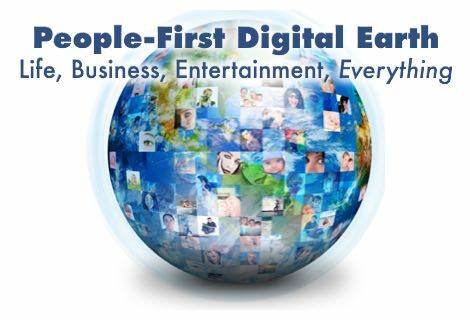 Digital living and entertainment: The Expandiverse delivers global digital living, working and entertainment across a new Digital Earth. New Internet business model: With Digital Boundaries, users control their screens, including the ads and content displayed. Everyone directs their personal growth and quality of life. New platform revenues come from ads displayed and resulting transactions. Universal Journey to Quality: Personalized digital living and constant advances produce the start of Universal Prosperity on a Successful Planet. are delivered produced by Digital Boundaries, Shared Spaces, Continuous Connections and more. 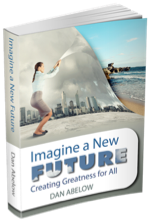 As personal success is delivered everywhere, every day, this accelerates market growth. This platform vendor enjoys the embedded two-way connections with everyone in their Work Platform. They capture their center of tomorrow’s winner-take-all Digital Economy. 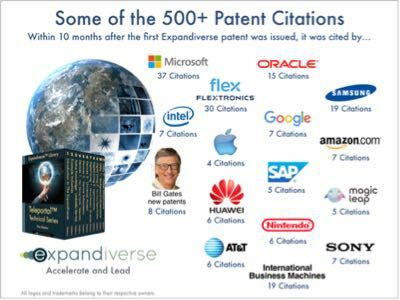 Microsoft could use this Expandiverse Work Roadmap to complete and super-charge its Work+People Platform. Or a competitor could use this Expandiverse Work Roadmap to add their competing Work Platform — and enable everyone to rise to their full potentials. Their platform would be the most powerful people-first force on tomorrow’s Digital Earth. Your company can deliver this platform and continuously connect everyone and the world’s best resources, worldwide. Everyone can rise to the top for the first time in history. With your company becoming the Digital Economy’s winner-take-all leader. We’re overdue for a technology that puts people first and moves everyone to the top. Here is the first design for a Global Technology Architecture to start Universal Prosperity on a Successful Planet. 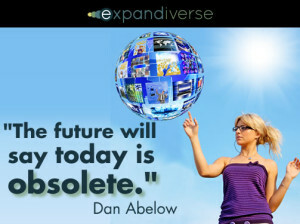 The future is up for grabs, and it will soon be owned. Will it be yours and everyone’s, or will another company own it first?